It’s often said that the only constant in life is change. And, in a fast-paced industry driven by trends, technology, new products and ever-evolving human needs, it’s no surprise that innovation is an essential part of what makes the kitchen and bath industry thrive. But innovation isn’t just about products, technology or trends. Rather, innovation comes from the people who bring great designs to life: the designers, dealers and industry pros who conceive new ideas, solve difficult problems, forge new business models, find creative ways of helping homeowners experience and embrace their most personal spaces, share their knowledge by speaking, blogging, mentoring and serving their industry, and inculcate design into their communities at large. Of course everyone knows that the kitchen and bath industry loves to celebrate great design – and great design has always been at the heart of what this industry is all about. But Kitchen & Bath Design News has long held that it’s equally important to celebrate the great designers, dealers and industry leaders who innovate every day, in myriad ways, both large and small, in order to raise the bar for the kitchen and bath industry as a whole. For that reason, KBDN is proud to present its second annual Top 50 Innovators list, honoring industry professionals who have made a name for themselves through their creative efforts, leadership talents, business acumen and professionalism. 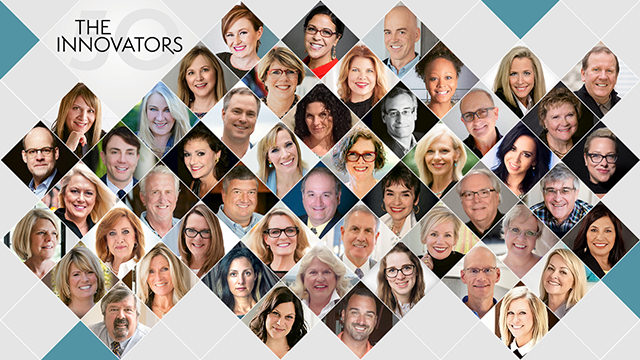 Nominated by their peers and then reviewed by the KBDN nominating committee, the 2018 Innovators reflect the best and the brightest industry talents – those shining stars who are lighting the way for future generations to come and redefining a multifaceted industry that reshapes lives even as it redesigns homes. These are the artists who never stop seeking inspiration, the teachers who have never stopped learning, the technology gurus who are always ahead of the curve, the business professionals who understand that innovation is what drives success and profitability, the marketing talents who understand how to re-imagine the very channels of communication – and, most of all, the human beings whose passion drives them to always strive to be better – and in doing so, to make the industry better as well. customers, forge ties with their communities or solve tough problems. What they all share is an ability to think, work and create outside the box; a fearlessness in advancing their dreams and goals; a gift for leadership; the ability to change and evolve to keep pace with a rapidly changing market, and an extraordinary commitment to their firms, their clients and the kitchen and bath industry as a whole. Know someone who’s a true innovator in the kitchen and bath industry? KBDN will begin accepting nominations for next year’s Innovators on January 1, 2019. Visit our website for further details.